13 oz. 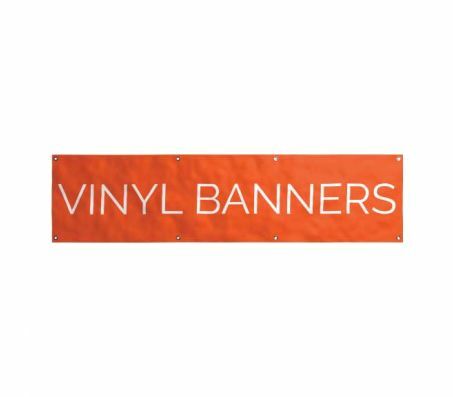 Matte Vinyl Banner - 122" max	13 oz. Glossy Vinyl Banner - 72"
If you’re seeking a new marketing strategy for your business, a vinyl banner might be just what you need. 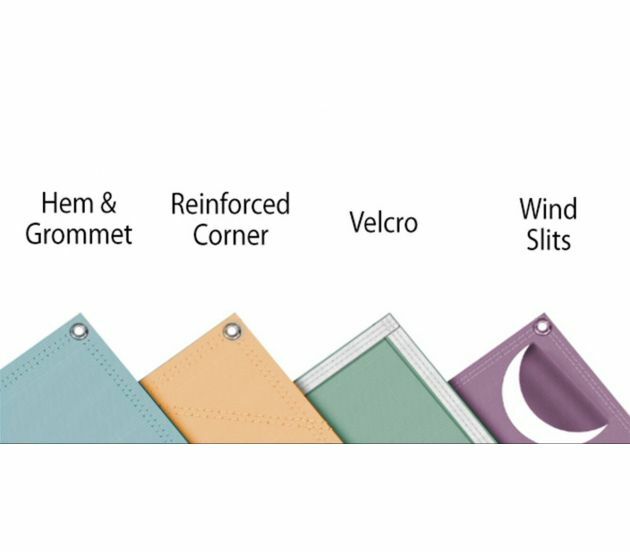 Ideal for billboards, building wraps, trade show signage, parades, and anything else you can imagine, these versatile and attractive banners are sure to be a hit. When you consider the price, ordering a high-quality banner is a no-brainer. Please Note: Starting Jan 1st 2018 our shipping policies will change as result, all banners over 89" (7'5") on its shortest side will be folded and shipped in a square box. all banners 89"(7'5") and under on its shortest side will be rolled and shipped in standard corrugated boxes. The beauty of a vinyl banner is that it can be used in countless indoor and outdoor applications. They’re UV and weather-resistant, so you can count on them to look great for years to come. We proudly offer matte and gloss banners. Our matte banners can be made as large as 120" high X 160' wide, and our gloss banners have a maximum size of 72" high X 160' wide. We use premium heavyweight 13 oz. scrim vinyl material for long-lasting durability. This material has a very smooth surface, ensuring that your digitally printed 720 x 720 resolution image comes out looking truly stunning. Simply upload your image, choose your preferences, and we’ll take care of the rest. For banners bigger than 96" x 160', we hem multiple banners to accommodate any size. You can't really see the seams where banners are hemmed together once you step away a few feet. 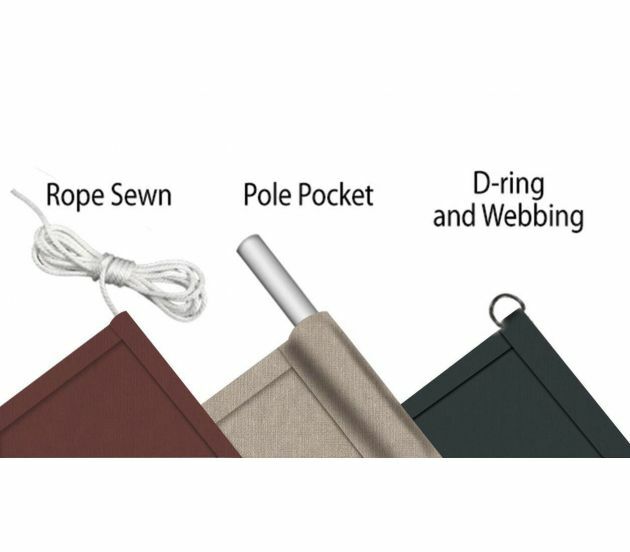 For banners that need to be double sided, we use two single sided banners and heat seam them together to form one double sided banner.